Discover why Melbourne in Australia ranked #8 in our countdown of ‘100 Most Incredible Cities in the World’. One-half of Australia’s most passionate interstate rivalry, Melbourne has claimed some pretty impressive titles over the years: the country’s cultural capital, the country’s coffee capital and most recently the world’s most liveable city (as ranked for the fifth year in a row by The Economist magazine)… not bad Melbourne. 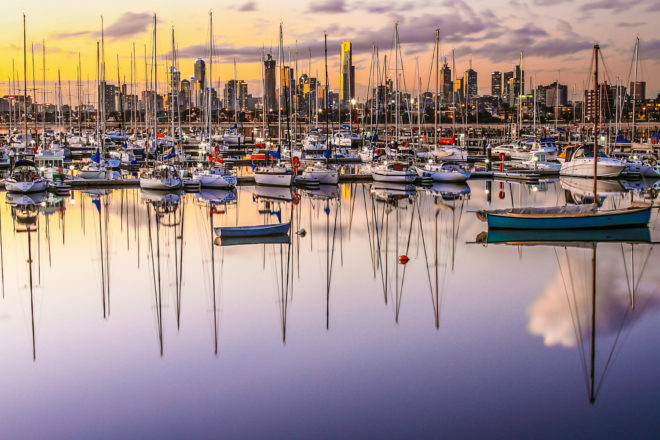 This dynamic city is gritty yet chic, famous for its buzzing hidden laneways, colourful with edgy street art and bursting with a brilliant cafe and dining culture, and a population largely mad about sport – AFL, horse racing, cricket. Getting around its inner city neighbourhoods is a breeze and a novelty on the charming tram system. Explore the nooks and crannies of Melbourne on a Hidden Secrets Tour (hiddensecretstours.com) – take in the lanes and arcades, the cafe culture, the art and architecture on specially designed walking tours led by passionate locals where you get to meet other passionate locals who make the city tick. For more travel advice, dreamy inspiration and brag-worthy holiday ideas in Melbourne, visit our sister magazine, Australian Traveller. Inside the homestay holiday revolution and more!